Organised by : Instep Learning Asia, Info Trek and Frenclub. #madworkshopkl2011 – Mobile App Development Workshop 2011, Organised by : Instep Learning Asia, Info Trek and Frenclub. 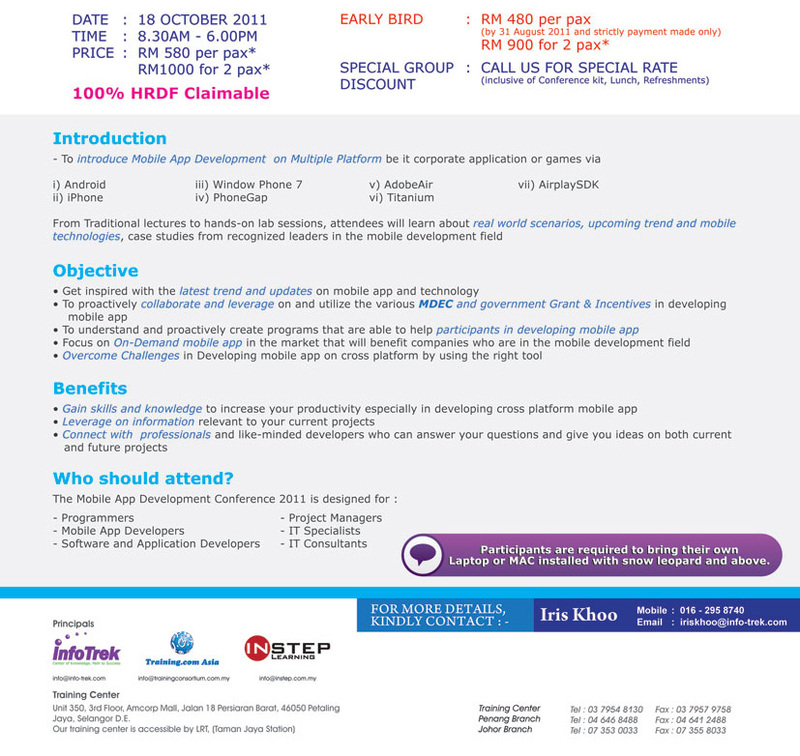 For the first time in Malaysia, we are running a ONE day seminar focusing on Non-Native Mobile App Development. Its about mobile app developing, no matter you are interested in developing iPhone app, Android app, Windows Phone 7 app, AdobeAir app, and other mobile platform, this workshop is definitely for you. About the fee, if you think you need some discount, I got a discount code for you! Sign up with promo code Webcamp470 for a RM 110 off from the original price RM580. [GIVEAWAY] An Afternoon with Norton: What’s Norton Cooking? Hotlink Bagus: Finally the Good Prepaid Plan?